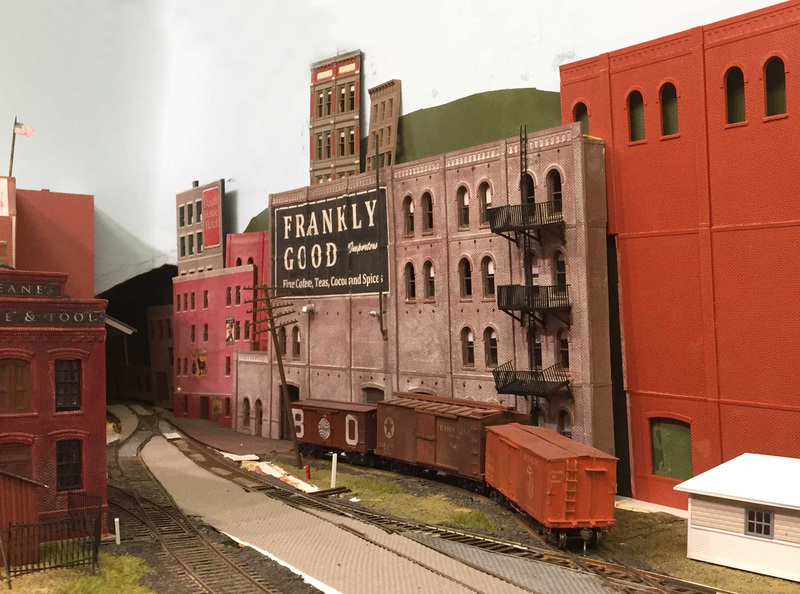 I made a road trip recently to visit a few Pre-Depression Era modelers here in the great Southwest. I had been threatening to visit one of them for a couple of years and the timing worked out. 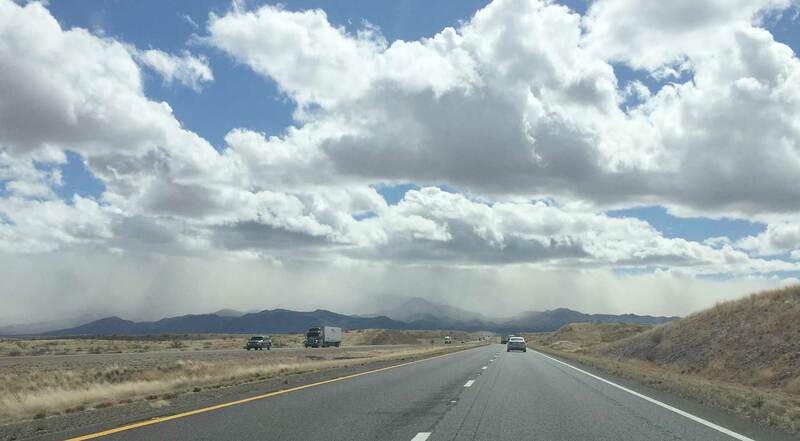 It was a lot of driving across miles and miles and miles of desert, but it was worth it! 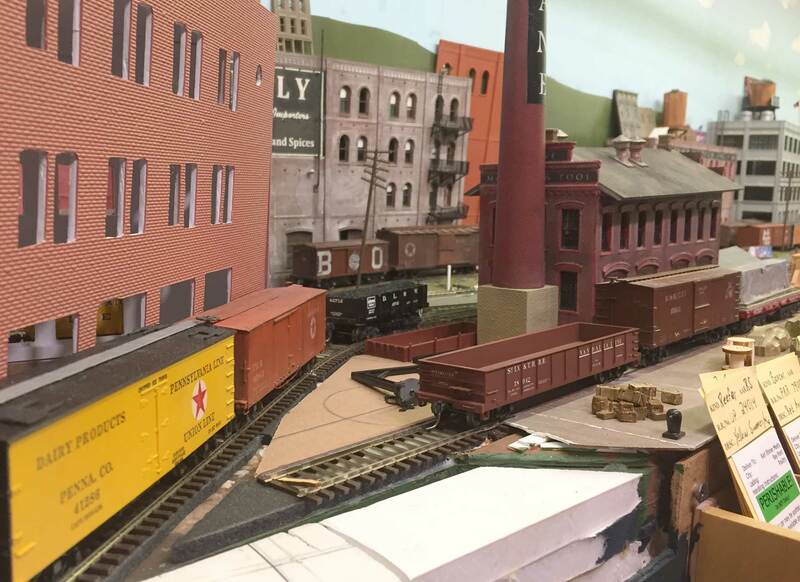 I made my first stop at Richard and Sara Kowalski’s to see the Bay Point & Northern HO scale layout. Richard focuses on 1905 with leeway a few years on each side. The location is on the northern shore of Long Island with a car float operation to Connecticut. The layout is about 22 square feet and is a freelanced shelf switching layout. Richard is inspired by both the Bush Terminal in Brooklyn and pre-Pennsy Long Island. He grew up on Long Island. 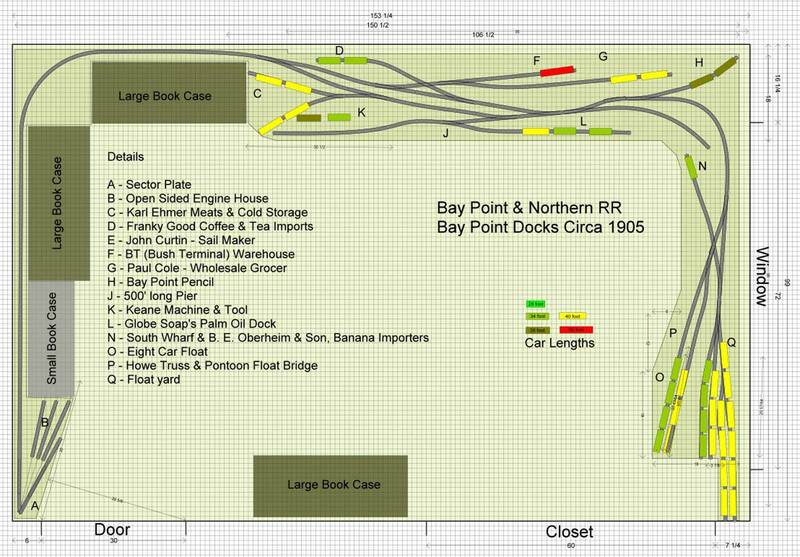 Layout plan graphic created by Richard Kowalski. Richard set up the layout for an operating session, so I dove into the work. Basically, freight cars move from the car float yard on the right to be spotted at the industries. Richard just started operating recently and I was one of the first visitors on the throttle. I started by reviewing the inbound car destinations. Then I looked over the various industries and car spots to be familiar with the layout. I also checked the waybills of outbound cars to understand what needed to go. 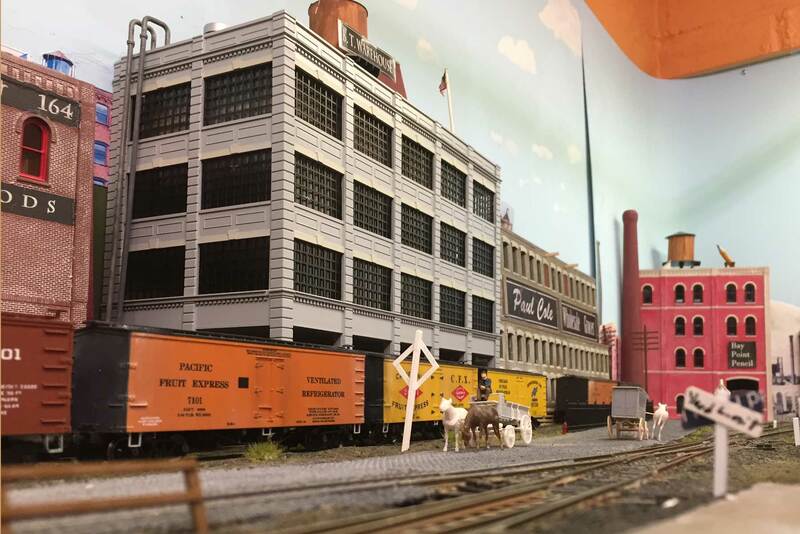 The car float is not yet in operation, but the car float yard was filled with inbound freight. I blocked the inbounds based upon their spotting location. A few cars had priority and sure spots, so those were handled first. 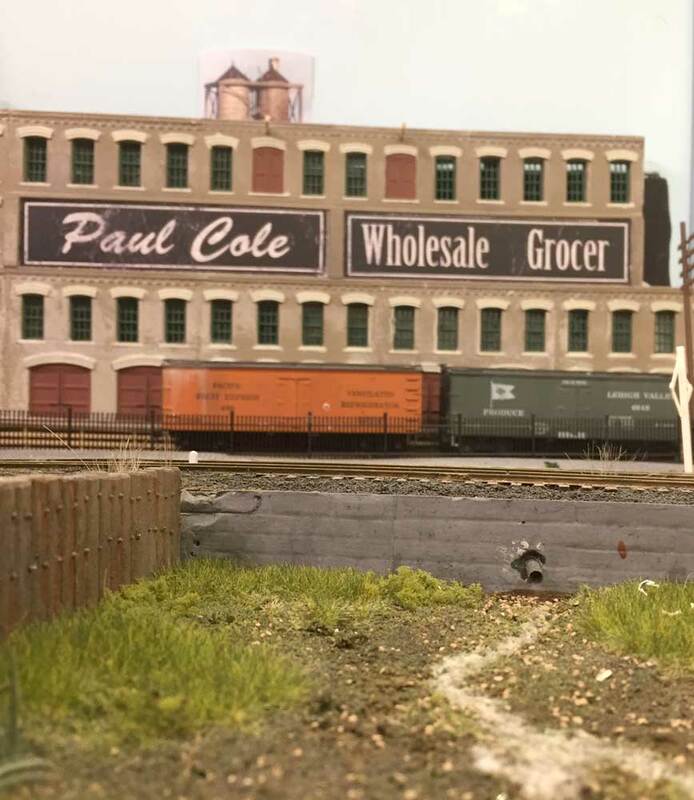 Richard has done a marvelous job representing the urban fabric on his layout. Tall buildings, narrow streets, old signage, and a nice balance of older and newer architecture grabbed my eye. His work gives the layout a gritty, close feel. I worked carefully to spot the priority freight and pull a few outbound cars. It took me a few trips between the car float yard and the industrial spurs to get everything in order. The layout behaved well, except for a pesky car. That always happens when out-of-towners drop in for a visit. The same gremlins arise on my Wheeling Freight Terminal during an op session. Richard has more scenery work to do but I enjoyed the visual experiences of looking between buildings and catching some of the details he has installed. This is one of my favorite views as it was so common in many cities. The background building is neat but it’s the pipe in the wall and the representation of some liquid flowing from the pipe to the water that really caught my eye. In the early 20th century, stuff was just dumped into the waterways. The different color of the liquid path along the ground implies something that would eventually be regulated. A unique layout scene is under construction and tucked behind the entry doorway. Richard has converted a small space into his locomotive facilities. The turntable is implied, but it is a sector plate that only swings a few degrees to move a loco from the main to the roundhouse. Richard says he has lots of work to do with this railroad. All layouts are a continuous work in progress. We are never truly finished and there’s always some alteration or addition that arises. 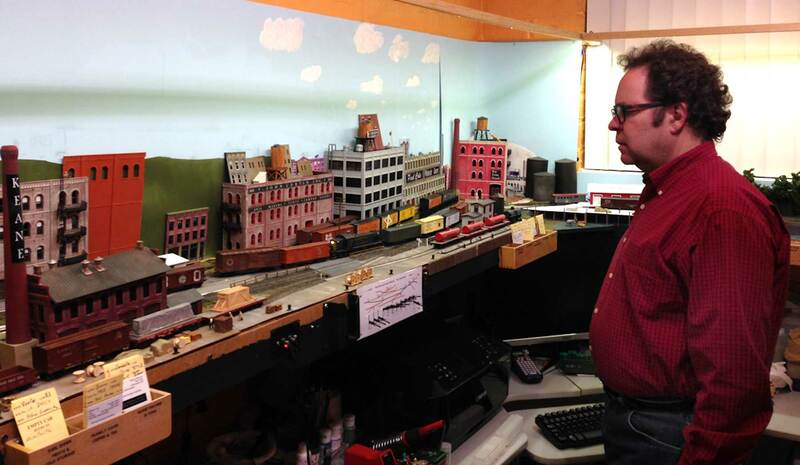 It’s good to see Richard start operating the layout, too. 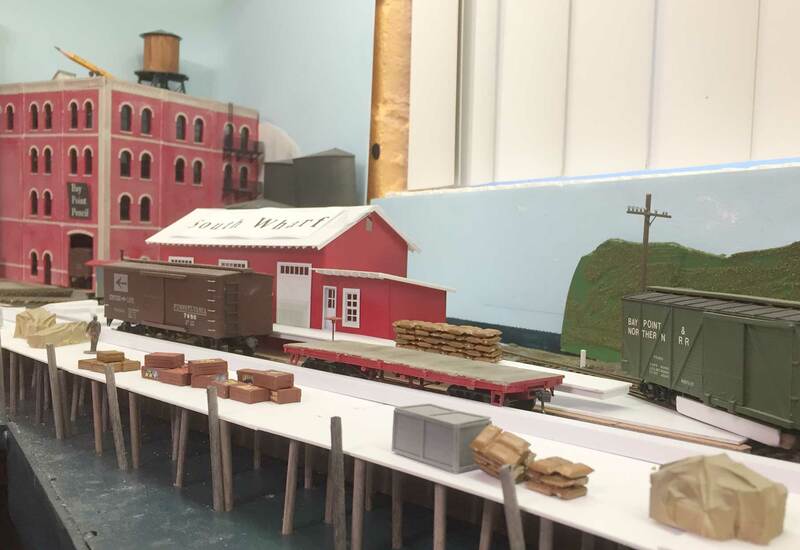 I’ve been encouraging modelers to start operating as early as possible on completed portions of their layouts so they can be sure the layout will operate as they planned. It’s much easier to make alterations without lots of scenery to move or remove. After the operating session, we enjoyed peach pie made by Richard’s wife, Sara. I’m not sure which I enjoyed more……operating the layout or the peach pie. Yes, of course it was the layout, but not by much. It was great to spend time with Richard and Sara. 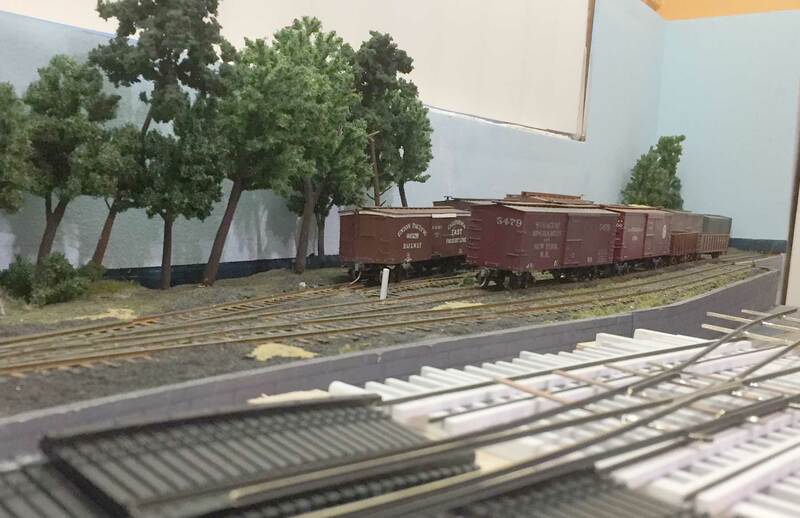 Viewing and operating a layout first hand is always a thrill. I hope I can return again for another visit. But I’m only halfway to my destination and there are many more miles to travel. Definitely a nice layout underway. I enjoy the “urban canyon” of a city switching layout as an alternative to the mountain NG that I have modeled for years. Thank you for sharing Richard’s work and your adventure. Really enjoyed the layout your! Great era and great modeling- though I did notice the anachronistic diesel doing some switching 🙂 Looking forward to seeing more as he progresses along- Thsnjs for sharing! Yes, I’m running an old RS-1 at the moment as my various steam locomotives are in the shop. Most are still awaiting their keep alive circuits and two are still being erected.